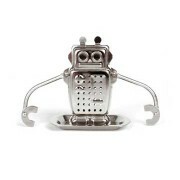 Add some whimsy to your tea with this fun tea infuser that appears to be bathing in a hot tub! 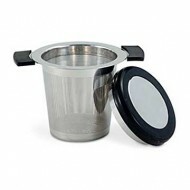 Stainless steel with adjustable arms that allow it to hang freely on any size cup. 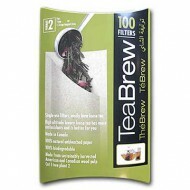 Simply flip open from the top and add one teaspoon of loose leaf tea. Close it tightly and suspend the hands on the top of the mug. 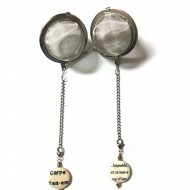 When done steeping place the hanging infuser on the drip tray. 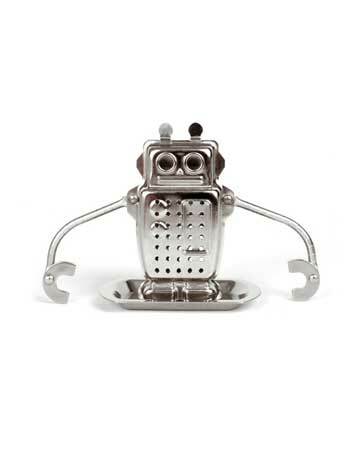 Stainless steel; adjustable arms; drip tray; dishwasher safe; makes one cup of tea.